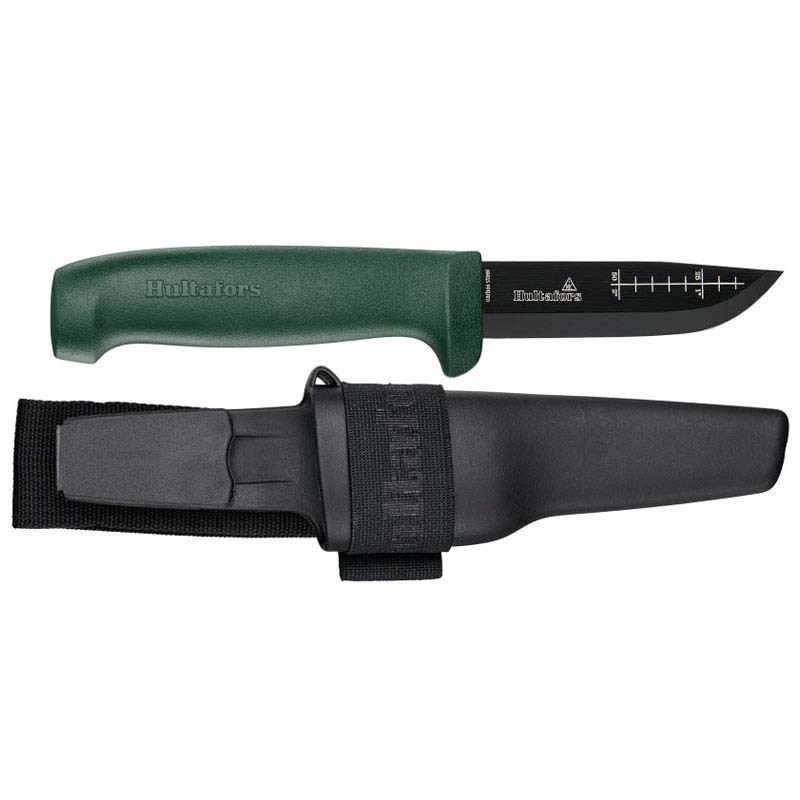 A powerful and durable outdoor knife with a larger handle suitable for tough tasks in the field. The hardwearing textile beltloop allows up to 80mm wide belts and is equipped with a pocket for a fire starter. The blade has a scandi grind and is made from Japanese knife steel, 3.0 mm carbon steel that has been hardened to 58–60 HRC and has a rust protective electrophoretic deposition coating to withstand corrosion. The grinded spine of the blade is designed for starting a fire with a fire starter.